Here are a few more thrift store finds from a recent trip! I've been looking for a cute satchel and was so excited when I found this one at a local thrift store. 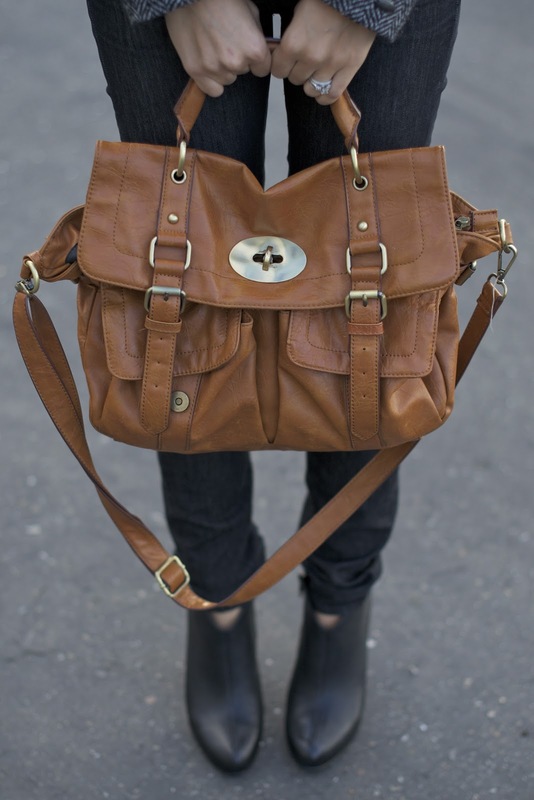 I'm crazy about the gold accents, warm-brown color, and the lovely $12 price tag. This coat is another thrift store find and it was only $4. 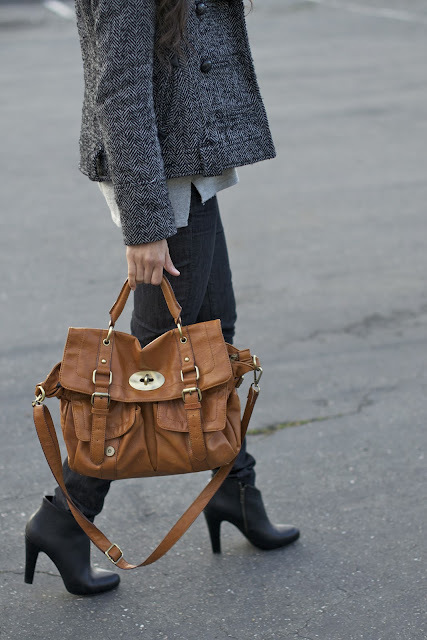 This winter coat is warm and very chic! 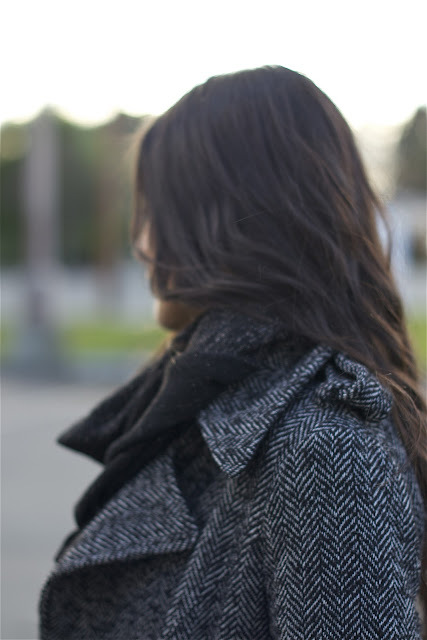 Plus, the black and white tweed is such a classic combination. The brief warm weather has left and it's back to crisp days- which means more cozy layers for me!